There’s been a whole heap (programming pun intended) of blogs around automation and virtualisation over the last few years, with some rather good ones of late centred around the now classic mix of VirtualBox, Vagrant and Ansible*|**. I’m particularly enjoying the Hey, I can DevOPS my Network too! series by Larry Smith Jr. at the moment. I may be debating the benefits and drawbacks of an automated (no I don’t mean DevOps) approach to networking entirely but regardless, it’s the most complete series of posts out there I know of. One reason I enjoy and appreciate Larry’s posts is that (mostly) he doesn’t skip over the low level detail; a refreshing change from the common practise of referring to another post the author has written, someone else’s posts entirely or a documentation website somewhere. I’m pained by losing focus and having to do extra work before I can fully understand what’s being discussed and covered in a piece I’m reading. This is due to my own ignorance I know, but it’s still frustrating. I can’t complain about this practice, after all, whatever the format, a blogger is doing this for the benefit of others, mostly without tangible benefit and often their focus is on a concept or demonstrating something briefly and simply so others can quickly understand the benefits. So, here I am, trying to fill in the gaps and fully understand why x chose configuration y. I (the obvious centre of the universe) want to understand the full range of possibilities rather than just follow along and not stop to think. This is surely what any good engineer does; if you don’t understand the materials you’re using, their capabilities and why you’re using them, how can you ever adapt them to your needs or fully understand the possibilities available to you? To that end, here’s some of that low level detail, in this case concerning the Oracle® VirtualBox® network modes available. I’ll likely follow up with how these are configured with VirtualBox both at the CLI and using the GUI and also how these are configured within a Vagrantfile (and maybe also using a YAML file or Bash script for provisioning – oh the variations are limitless). So, here’s the detail on each mode (names are based on the Attached To setting, not to be confused with the Adapter Type (which should be virtio-net unless you’ve a good reason to use something else***). If anyone can supply further detail of any kind, I’d be more than happy to include it. A standard, outbound PAT overload using the host’s primary network interface IP address–not really a network at all as no communication is possible with other guests or the host. This allows for full outbound access but no externally initiated inbound connections unless Port Forwarding is configured. For internet access via proxy, the host’s proxy configuration needs to be duplicated on the guest (it won’t be inherited). When using Vagrant, all guest primary network interfaces are configured in this mode (and this cannot be changed). In Docker, this is the default networking mode, confusingly called Bridged mode. VirtualBox can provide DHCP services for this network mode. Introduced in v4.3, this is a marriage between NAT and Internal Network and provides the benefits of both. Virtual machines can communicate amongst themselves without involving the host and can also establish outbound connectivity where necessary (as per the NAT mode described previously). Externally initiated inbound connections require Port Forwarding is configured. For internet access via proxy, the host’s proxy configuration needs to be duplicated on the guest (it won’t be inherited). A NAT Network must be created before a guest interface can be assigned to it, via File > Preferences > Network > NAT Networks. This allows you to fully integrate the guest into any network the host is a part of/connected to. You select one of your host’s network interfaces and, logically speaking, the guest is then connected to the same network (the physical and virtual interfaces are bridged). It can obtain (or be statically assigned) an IP address as if it were cabled to that network. The guest can then communicate with the host and visa versa. The guest can also accept externally initiated inbound connections without the need for Port Forwarding or NAT/PAT. In Vagrant terminology, this is a public_network. In Docker, this is called Host mode. VirtualBox can not provide DHCP services for this network mode. A private, hypervisor internal virtual network. The host’s networking stack is not involved and no external connectivity is possible. This makes it an ideal choice for establishing shared connectivity between virtual machines. This is the mode most often used with Vagrant (in addition to a NAT mode interface). In Vagrant terminology, this is a private_network. In Docker, the docker0 bridge acts as an internal network, connecting all containers on the same host. A Internal Network does not need to be created before a guest interface can be assigned to it. A ‘private’ network connecting the host (via a loopback interface) and one or more guests. This allows for simple host network connectivity, for administrative purposes, to guests, without the use of Port Forwarding. If you intend to use SSH or HTTP/S to manage your guests, connecting them to this network is very useful. Multiple host-only networks (and host loopback interfaces) can be configured. 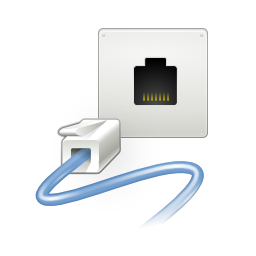 VirtualBox can provide DHCP services with this network mode. A Host-only Network must be created before a guest interface can be assigned to it, via File > Preferences > Network > Host-only Networks. Used to allow guest communication across multiple Virtualbox hosts. I don’t have the ability to use or test this and therefore confirm how this works and whether it might be useful. *Named after the Philotic Parallax Instantaneous Communicator from Ender’s Game. **I really need to come up with a cool acronym for this, perhaps LAVVA (Linux, Ansible, VirtualBox and VAgrant)? ***Performance is significantly better with this type in almost all cases, however, it may not be with older or uncommon operating systems. If you are using VirtualBox for testing, don’t forget that performance will be wildly different if moving to another hypervisor and that the more recent NIC driver you have, the better. This applies to both Linux and Windows.